Gorgeous 4 Bedroom 4.5 bath single family home with attached 3 car garage in sought after Pembrook/Victory Lakes. Open floor plan with welcoming two-story foyer. Sparkling hardwood floors on main level. Living room is set apart for formal entertaining. Elegant formal dining room with upgraded molding package. A huge family room with gas fireplace where you can get away without going away. Butler~s pantry with its own sink offers lots of extra storage. Spacious gourmet kitchen offers upgraded cabinets, stainless steel appliances, kitchen island, breakfast bar, granite counters, pantry, kitchen desk, and large breakfast area that opens onto screened in porch to expand leisure activities to the outdoors. Screened in porch offers electric and A/C heat for year-round use. Office on main level with French doors and large bay window. Multi-purpose loft is ideal as a media room, guest room, or playroom. Laundry room offers new washer and dryer and is conveniently located on bedroom level. Stunning master bedroom suite provides tray ceiling, sitting area, walk in closets, and private luxury bath. Spacious secondary bedrooms with plenty of space for sleep, storage, and play. Fully finished lower level offers new carpet, large recreation room with bar with sink fridge, space for pool table and ping pong table, stone wall with wood stove, den with closet, home gym with wood laminate floors, full bath, and storage to keep things handy but out of sight. A warm modern gray paint and recessed light throughout. Walk-up stairs to brick patio and large, flat, private fenced backyard. Outdoor entertaining with built in grill is perfect for large gatherings. Surround sound speakers throughout home. New A/C unit. Abundant community amenities are available. Conveniently located to I-66, 234, Prince William Parkway, Route 29, Route 28, 10 minutes to VRE, Old Town Manassas, shops and restaurants. Directions: I-66 W. Take the VA-234 Bus exit, EXIT 47A, toward Manassas. Merge onto Sudley Rd/VA-234. R onto Sudley Manor Dr. R onto Victory Lakes Loop. Take the 1st L to stay on Victory Lakes Loop. 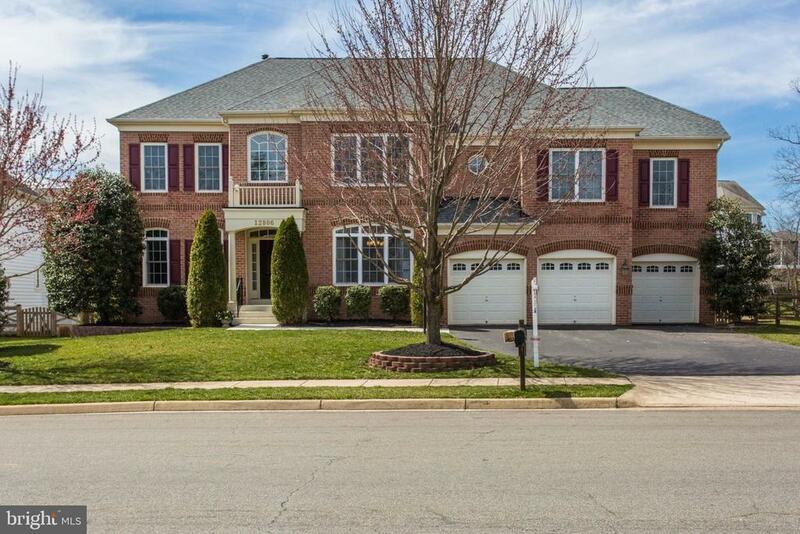 12806 Victory Lakes Loop, Bristow, VA 20136-1281, is on the L.